Experience your music on an entirely new level with tailor-made earphone sleeves. Custom Fit Earphone Sleeves are manufactured individually for your ear giving unrivalled comfort, incredible sound isolation and delivering range and clarity that you won’t have heard before. You’ll hear nuances of your favourite music that you’ve not previously noticed and you’ll be able to listen at comfortable levels, even in noisy environments such as busy city centres or aircraft cabins. Custom Fit Earphone Sleeves are tailor-made for your ears so you’ll get a perfect fit every time. 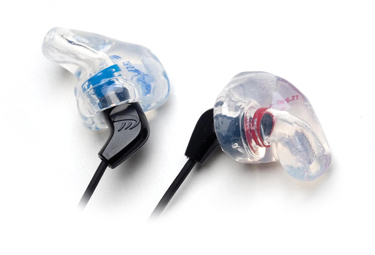 With no aching or fatigue from prolonged usage you may very well forget that you are even wearing them allowing your earphones to produce room-filling sound that will astound you!!! For the Custom Earphone Sleeves you will need to have ear impressions, these will need to be made by an audiologist and are not included in the priceear impressions will cost no more than £50.